OctaFX wants to congratulate all Islamic traders with Ramadan – the holiest and long-awaited holiday in the Muslim calendar. Ramadan is a time for spiritual reflection and self-devotion. 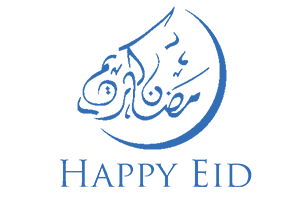 It is one of the most important days of the year for Muslims. OctaFX wishes the spirit of Ramadan fills your days with happiness and love. May Allah, the almighty, enlighten you and bless you with peace and grace. This divine holiday will bring happiness to your home and lead you to the right path. Be respectful and thankful for everything! And may this Ramadan remind you to forgive and forget. May the Spirit of Ramadan stay in your heart and illuminate your life! OctaFX would like to inform you of the changes in the trading hours of XAU/USD and XAG/USD on US Memorial Day May 30. Trading closes Monday, May 30, 2016 at 20:00 (EET, Server time) and re-opens Tuesday, May 31 2016 at 01:00 (EET, Server time). The first prize in Round 51 of OctaFX Champion demo contest became an anniversary gift.